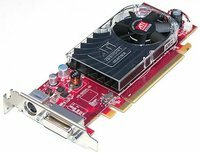 Hewlett Packard - ATI Radeon X1300 HP ATI Radeon X1300 256MB DDR2 S-Video DMS-59 PCI-Express x16 Graphics Video Card 432747-001. 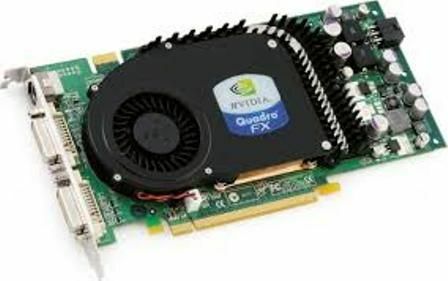 Hewlett Packard - HP Nvidia Quadro FX 380 2 HP Nvidia Quadro FX 380 256MB GDDR3 Dual DVI PCI-Express 2.0 X16 Graphics Video Card 519294-001 508282-001. 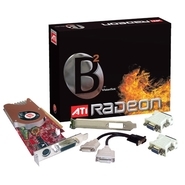 ATI - Radeon X600 PRO 256MB ATI Radeon X600 Pro 256MB DDR SDRAM DMS-59 PCI-Express Graphics Video Card F9595 0F9595 CN-F9595. PNY - Quadro FX 370 PNY Quadro FX 370 LP 256MB DVI-I DP PCI Express x16 Low Profile Video Card VCQFX370LP-PCIE-T.
Hewlett Packard - Nvidia Quadro FX 380 HP Nvidia Quadro FX 380 256MB GDDR3 Dual DVI PCI-Express 2.0 X16 Graphics Video Card 519294-001 508282-001. ATI - ATI FireGL V3350 ATI FireGL V3350 256 MB DDR2 Dual DVI-I PCI-Express x16 Graphics Video Card ATI-102-A77601-10. 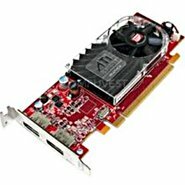 Hewlett Packard - ATI FireGL V7200 HP ATI FireGL V7200 256MB Dual DVI MINI DIN-3 PCI-Express X16 Graphics Video Card 413107-001. Dell - C120D DELL - ATI RADEON HD 3470 256MB PCI EXPRESS X16 GRAPHICS CARD W/O CABLE (C120D). NEW BULK. IN STOCK.SHIP SAME DAY. 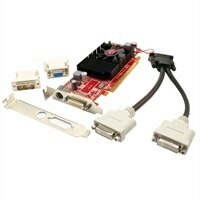 3D Labs - WildCat Realizm 500 SUN XVR-2500 3D Labs WildCat Realizm 500 256MB GDDR3 DVI 3 Pin Mini-DIN PCI-Express x16 Graphics Video Card 375-3454. Hewlett Packard - AH050AA AH050AA HP ATI Radeon X1300 Pro PCI Express X16 256MB DDR2 SDRAM Low Profile Graphics Card. New Bulk Pack. Hewlett Packard - PY640AA PY640AA HP Nvidia Quadro FX 3450 256MB GDDR3 SDRAM PCI-EXPRESS X16 Graphics Card. New Bulk Pack. 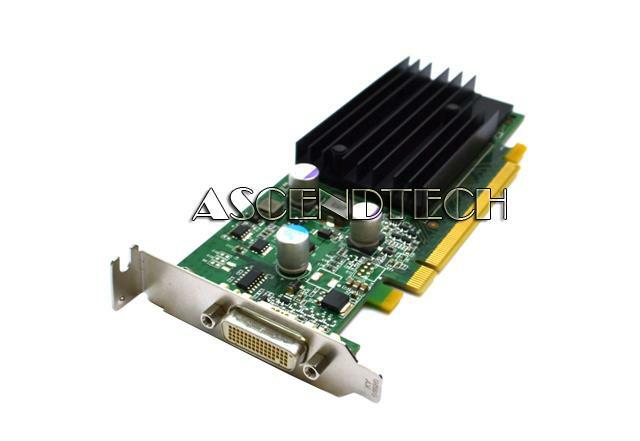 Hewlett Packard - ES355AA ES355AA HP Nvidia Quadro FX 1500 256MB PCI Express X16 Graphics Card. New Bulk Pack. Hewlett Packard - KG748AA HP/COMPAQ - NVIDIA QUADRO NVS 290 PCI EXPRESS X16 256 MB DMS-59 DDR2 SDRAM GRAPHICS CARD(KG748AA). NEW BULK. IN STOCK. SHIP SAME DAY. Hewlett Packard - 395815-001 395815-001 HP Nvidia Quadro FX 3450 256MB GDDR3 SDRAM PCI-EXPRESS X16 Graphics Card. New Bulk Pack. IBM - 13M8479 13M8479 IBM Nvidia Quadro FX 1500 PCI-EXPRESS X16 256MB DVI TV Out Graphics Card W O Cable. New Bulk Pack. Hewlett Packard - AG392AA AG392AA HP ATI Radeon X1300 PCI Express X16 256MB DDR2 SDRAM Low Profile Graphics Card W O Cable. New Bulk Pack. Hewlett Packard - 412834-001 412834-001 HP Nvidia Quadro FX 1500 256MB PCI EXPRESS X16 Graphics Card. New Bulk Pack. 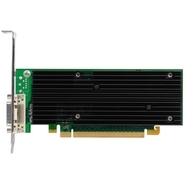 PNY Technology - VCQFX1500-PCIE-PB VCQFX1500-PCIE-PB PNY Technology Nvidia Quadro FX 1500 PCIE 256MB GDDR3 SDRAM Graphics Card W O Cable. New Bulk Pack. 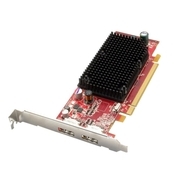 ATI - 100-505552 ATI TECHNOLOGY - FIREPRO V3750 256MB GDDR3 PCI EXPRESS 2.0 X16 GRAPHICS CARD FOR WORKSTATION (100-505552). NEW BULK. IN STOCK.SHIP SAME DAY. Hewlett Packard - 410199-002 410199-002 HP Genuine ATI Radeon X1300 PCI E X16 256MB Video DVI TV S-Video Out Graphics Card W O Cable. New Bulk Pack. Hewlett Packard - 413023-001 413023-001 HP Genuine ATI Radeon X1300 PCI E 256MB X16 DVI TV S Video Out Graphics Card W O Cable. New Bulk Pack. 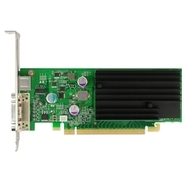 Dell - WX397 WX397 Dell Nvidia Quadro FX 570 PCI Express X16 256MB Dual DVI GDDR3 SDRAM Graphics Card W O Cable. New Bulk Pack. Hewlett Packard - 456137-001 456137-001 HP Nvidia Quadro NVS 290 PCI Express X16 256MB DMS 59 DDR2 SDRAM Graphics Card W O Cable For Workstation. New Bulk Pack. 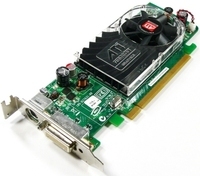 Hewlett Packard - 365891-002 365891-002 HP Nvidia Quadro FX 3400 256MB PCI-E X16 Graphics Card W O Cable. New Bulk Pack. Hewlett Packard - 365891-001 365891-001 HP NVIDIA Fx 3400 256mb Ddr3 Sdram Pci-E X16 Graphics Card W O Cable For Workstation. New Bulk Pack. 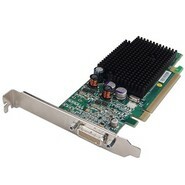 Hewlett Packard - PB329B PB329B HP Genuine Nvidia Quadro FX 3400 256MB 3D PCI E X16 High End 2X DVI I 1X Mini Din Video Graphics Card W O Cable. New Bulk Pack. 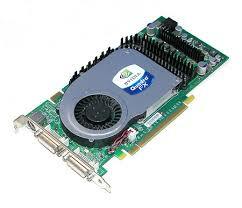 Hewlett Packard - 366650-001 366650-001 HP NVIDIA Quadro FX 3400 256MB PCI E X16 3D Graphics Card. New Bulk Pack. Hewlett Packard - GJ120AA HP/COMPAQ - NVIDIA GEFORCE 8400 GS 256MB PCI EXPRESS DDR II DVI TV OUT LOW PROFILE GRAPHICS CARD W/O CABLE(GJ120AA). NEW BULK. IN STOCK. SHIP SAME DAY. Hewlett Packard - PB329A PB329A HP Nvidia Quadro FX 3400 256MB 3D PCI E X16 High End 256MB PCI E Graphics Card W O Cable. New Bulk Pack. Hewlett Packard - 464762-001 464762-001 HP Nvidia Geforce 8400 GS 256MB DDR2 SDRAM PCI Express Graphics Card W O Cable. New Bulk Pack. Hewlett Packard - 445682-003 445682-003 HP Nvidia Geforce 8400 GS 256MB DDR2 SDRAM PCI Express Graphics Card W O Cable. New Bulk Pack. Hewlett Packard - FY943AA FY943AA HP Nvidia Quadro NVS 295 PCI Express X16 256MB DDR2 SDRAM Graphics Card For Workstation. New Bulk Pack.